KZN MEC for Cooperative Governance and Traditional Affairs (Cogta) Nomusa Dube-Ncube has expressed her condolences to the Mkhwanazi and Buthelezi families of Msinga, Ward 16, Gxushaneni area, who both lost their loved ones yesterday during a freak thunderstorm that took place in the uMzinyathi district. 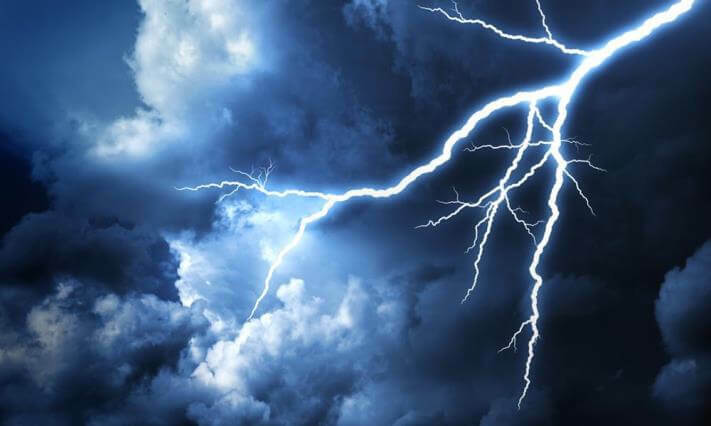 The deceased, Thulani Buthelezi (60) and Mathuli Mkhwanazi (28) were struck by lightning and died on the scene in thunderstorms that were accompanied by heavy rainfall and strong winds. Another 32-year old female was seriously injured and was taken to hospital. Dube-Ncube has expressed her condolences to the affected families. “We are saddened by the incident where we lost two innocent lives. Our thoughts and prayers are with their families during this difficult time. Officials have been dispatched to assist the families. Our work is cut out for us as the provincial government as we implement measures that mitigate the impact of climate change,” said Dube-Ncube. KZN Cogta is already rolling-outstarted the lightning conductors program to areas that are most prone to such incidents. According to the MEC, this process will, however, not be able to cover every household in the province and requires those who have means to purchase these devices. They have now been made available by nearest hardware shops. Many areas accross the province such as Nkandla, Nongoma, Bergville and many others including public facilities such as schools and clinics have been supplied with lighting conductors. Government is also urging municipalities to assist vulnerable communities. Cogta continues with disaster awareness campaigns to arm communities about climate change impact.